Hi everyone and welcome to Audiobook Lovin, presented by Books-n-Kisses and Viviana, Enchantress of Books. We’re excited to have author Santino Hassell with us here today! Viviana: First, we wanted to take a minute and say CONGRATULATIONS on the RITA AWARD nomination (category: Contemporary Romance: Mid-Length) for “Fast Connection” which you co-wrote with Megan Erickson! Viviana: Let's start by having you tell us a bit about yourself, how long have you’ve been writing and how did you get started? Santino: I’ve been writing for going on 15 years now, but the first 12 of those years were in fandom and then original slash (I wrote the free series In the Company of Shadows with Ais). I started writing professionally in 2014 when I decided to write romance, and it’s been full steam ahead since then. 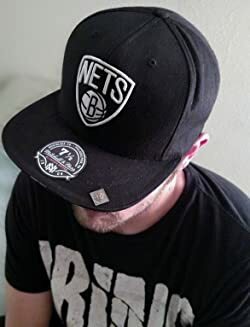 Santino: So far, with the first 4 Five Boroughs books (Sutphin Boulevard, Sunset Park, First and First, and Interborough), I was able to select a narrator based on auditions. Same with my gothic romance Stygian. It’s actually a challenging process because I’m not a good auditory person, and I can’t tell how readers would respond to one person over the other, or whether something sounds off to me but good to someone else. The narrator for Sunset Park turned out to be a fan favorite, though. He did SP, FF, and IB! For Cyberlove and The Community, it’s been a different process. 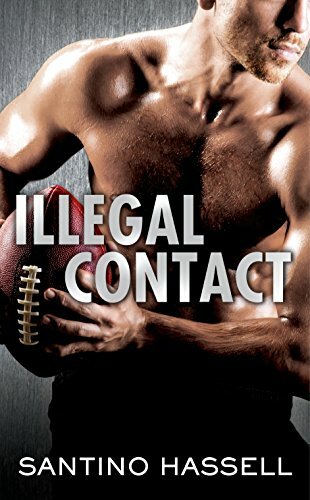 Me and Megan’s agents helped to get audio deals for Cyberlove so it was very hands off, and Riptide found a really awesome narrator for The Community. His name is Greg Tremblay, and he has a big following of his own! Viviana: What did you think or feel when you learned that your books were being formatted into audiobooks? Santino: Ecstatic! Audiobooks are a new world for me, and I’m not a big listener myself, so the idea of someone narrating my books was really exciting. When I see the number of reviews my audiobooks get, I’m always amazed! Santino: Oh, I hope so! I know Berkley/Penguin has done other audiobooks for the InterMix line, so I’m crossing my fingers. Viviana: What are you currently working on and what’s next for you? Santino: At the moment I’m celebrating the release of OVERSIGHT, book 2 in The Community trilogy (my queer psychic romance), writing CITYWIDE, book 6 in the Five Boroughs series, and preparing for ILLEGAL CONTACT to come out in August! Viviana: If someone narrated your life, who would you want to be the narrator and why? Santino: El-P from Run the Jewels. He’s the epitome of New York from his accent to his Yankees hat to his attitude. Viviana: Let’s have a little fun and get to know you with some “Lightning Round Questions” … answering these quickly… Ready? First Book you ever bought? As an itty bitty Santino, I bought Where the Wild Things Are. When I was older, I remember buying the A Song of Ice and Fire books because I could no longer get things from the library. First CD you ever bought? Oh man, I don’t remember. I think it was Nirvana or something because I was excited to get my hands on it after losing my old tapes. Back then, there was no Internet to look up music on! If your job gave you a surprise three day paid break to rest and recuperate, what would you do with those three days? Write! Thank you so much for hanging out with us Santino! !